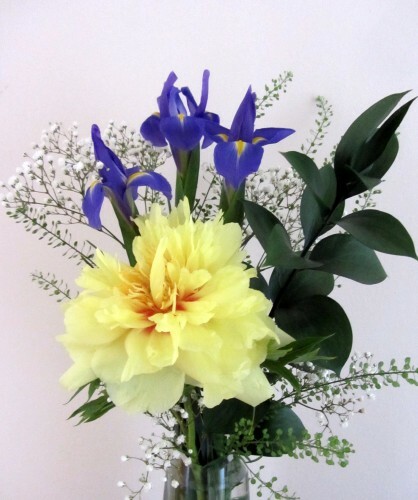 When what to my wandering eyes should appear… a YELLOW peony! In the grocery store no less. I had a yellow peony bush in my back garden that was really special to me. They’re not that common. Of course I had to buy it.